I might be wrong, but I think the only ones they offer anymore are some troops from two of the different platoon sets. I'm wanting to say one was House Kurita Laser Platoon, or something like that? I don't think they offer a full set of either platoon though, and I believe you have to contact them directly to ask about them. I'm sure Speck or Sawbones know more about that than I do though. We are in the process of getting this minis back out. We wanted to have them out at Gen Con but did not have time to find the master molds and create new productions molds off of them. Sandy as in short for Sandoval, Yamanashi!!! Any chance of seeing like the Kurita DEST or say some Aerospace Pilot's? Once we find the master molds of them we will have all of them up for sale. Individual figures from the Kurita and Steiner platoons have been available for some time (either ordered direct or at the Iron Wind convention booths), but I'm looking forward to clamping my greedy claws onto some of the other "support" and Mechwarrior figures to round out the "set". That will be big news for both the RP players and the infantry-action enthusiasts. Besides, it will give me figs to "more or less" go with a couple of the old Revell plastic 'Mechs, although the scale will be off a shade. All of that should work nicely for skirmishes and "adventures" in a Hirst Arts sci-fi modular "dungeon". I have a set of those, still in the original orange blister pack. I think these were made in 1986 or so, and are lead. I didnt know there was much interest in the role playing game. 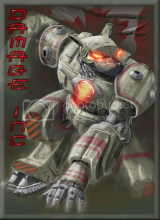 I just got rid of all of my mechwarrior blister packs on the auction site. This one was down behind one of my display racks, must have fallen there at some point. Good to hear! I only have a mechanic from back in the day, and I also have a..point?..of the Elementals. Actually I wonder if there would be a chance of getting new sculpts in 28 mm, to bring them in line with the recent battlearmor and other lines of miniatures. 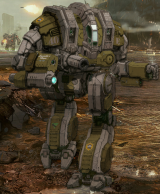 It would be cool to have mechwarriors who are in scale with the BA. Update to 28mm is not likely to happen any time soon. But we are still hoping to have them released. The master molds have been found for the old 25mm miniatures. I know this is an older topic, but any update on the 25mm figures? Ordered and rec'd several Kurita Troopers...awesome! 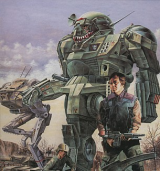 I'd love it if generic Mechwarrior figures would be available for ATOW. Yeah, it's been a couple of years but I'm still interested. Has there been any progress on these? Nothing new to report, since there are no production molds for these new ones need to be made from masters. It has been a low priority due to contract work and new battletech releases needing molds done. I'll keep watching and hoping that IWM can ultimately get the MechWarrior figs back into limited production (website only I'd assume?). I've got a decent collection of the old 25mm figures, and I'd certainly love to get my hands on more. Would it help if multiple folks were willing to pony up archive+ fees after IWM gets fully settled into their new digs? Know they've probably got tons of other things going on right now...but I'd be willing to pay decent change to get my hands on more Marik/Davion/Liao infantry in 25mm. Aside from the old molds, how difficult (comparatively) would it be to sculpt new figures for the RPG? 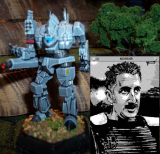 Speaking for myself, it'd be great to have Mechwarrior specific figures for the RPG, but I'm not married to the old sculpts! New sculpts I doubt would be done any time soon. Best we will get right now is the old figures back. I'd love to see the old Battletroops minis going again. Let me rephrase that, I would love to be able to buy Battletroops minis regardless if they are the old Ral Partha models or something new by IWM. I'd like to see Battletroops revived as a game, or at least find a few people that would want to play it. Having a line of minis would really help, but are also just plain cool to have and paint. The classic sculpts are good for me, I like a lot of the 25mm Ral Partha stuff. Sorry to hear that mold production will take a while but thanks for the update. A lot of the Kurita and Steiner troopers are still available directly through IWM. Speck, given that some of those are in fact in production, is there anything along the lines of a squad or platoon set available? It'd be nice to get a pricing break to buy them by the squad or platoon like in the olden days. Thread Resurrection...Curious if their is any update on the 25mm figure production. Last reporting indicated the masters were found, but there was no time to make production molds. Not sure if I missed anything along the way in another thread perhaps, but I hope these can still happen at some point. This is most interesting! 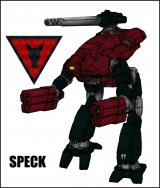 Where can we find images of the old (unavailable) Mechwarrior miniatures? You could try Google, I know the pics are out there somewhere or look for scanned copies of the old RP catalogs.